British Eventing Life | Is it time for new riding gear? Is it time for new riding gear? As the new eventing season approaches, now is the time to invest in new riding equipment, says Jonathan Chapman. Here are four things to consider when buying new kit. 1. Does your riding gear meet the right standards for eventing? Protective headwear has to meet one of the standards set out in the BE rule book. These standards are reviewed and upgraded on a regular basis to incorporate the latest materials, design technology and testing protocols with the intention of increasing the level of protection provided. To help collect more data on how helmets deform on impact, BE and BETA launched the BETA Helmet Bounty Scheme, which offers riders diagnosed with concussion after a fall in any phase of competition a £100 voucher to be used against the purchase of a new helmet if they surrender their old one to BETA. The hats are dissected to analyse how they have performed. The results of this research will influence future developments in hat design. 2. Does your horse riding gear fit correctly? However well designed, whatever new technologies are incorporated, and however rigorously tested a hat is, unless it’s correctly fitted and the harness adjusted properly, the performance may be impaired. Buy from a licensed retailer who should be trained to fit hats. Similar to helmets, body protectors need to fit correctly. They are not flattering, and lacing them up tight like a corset will not change that. A body protector should fit slightly loosely. When you try it you should sit in a saddle in a cross country position, then sit down and check that the bottom edge doesn’t catch the back of the saddle. 3. 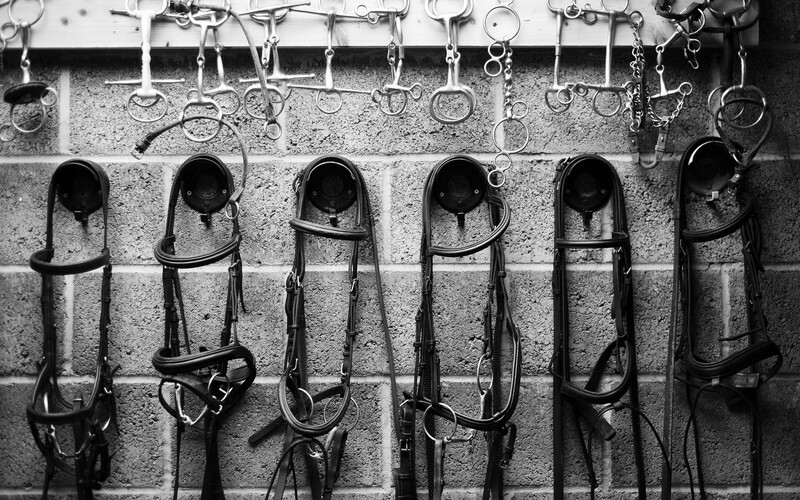 Is your horse riding gear old? A hat’s performance is affected by how well it’s looked after and how often it is replaced. The material used in the construction of hats has an optimal functional lifespan. It will degrade over time and with use, so it’s important to replace hats regularly. You must replace your hat after a fall involving your headwear colliding with something hard. The headwear may appear to be undamaged, but if you were to dissect it you should see that the inside has deformed in some way. This ‘crumpling’ is how the hat absorbs the energy of the collision. With a hat there may also be micro cracks in the outer rigid shell that reduce its constructional integrity. Even if you are one of those rare breeds of rider who rarely falls off, you still need to replace your hat every three to four years. This will ensure that your hat will act optimally if you do suffer a fall. Body protectors must meet BETA level 3 standard and have been manufactured in 2009 or later. This is a rule change brought in in 2018 (previously body protectors from 2000 onwards could be worn). As with hats, the protective material in a body protector degrades over time and therefore its ability to absorb energy on impact is reduced. Check out this and other key rule changes here. 4. Is your riding gear as advanced as it could be? Over the last 20 years body protectors have become much lighter and better designed ergonomically. Protective equipment should not impair a rider’s functionality, so body protectors need to be flexible to allow rebalancing of the rider’s body. And they must not be restrictive – it’s very important to be able to breathe! Air jackets are popular, but not compulsory. Having fallen off in one several times, I can vouch for their effectiveness. If you choose to wear one there are several styles available, so try them out – particularly how they feel when inflated. Learn how to operate them and replace cylinders. Protective equipment will always work best when not required to perform. In other words – try to avoid falling off! The right equipment, fitted correctly, will not guarantee your safety, but it will make it more likely.